The Principal Fellows Program (PFP) provides a competitive, merit-based scholarship loan to individuals of exceptional academic ability who have teaching or relevant experience and who desire to enter school administration in a North Carolina public school. Fellows have the opportunity to attend school on a full-time basis and earn an MSA degree in two years. The Principal Fellows Program, which is offered at eleven campuses of the University of North Carolina, provides one year of full-time academic study and a one year full-time internship in a North Carolina public school. Fellows also participate in enrichment experiences designed to enhance their preparation for a career as a principal or assistant principal. The Principal Fellows Program was created in 1993 by the North Carolina General Assembly. Over 1200 Principal Fellows have completed the Program. Fellows are required to maintain employment as a principal or assistant principal in a public school in North Carolina for four years to repay the scholarship loan. Financial need is not a criterion for selection as a Principal Fellow. The goal of the Principal Fellows Program is to prepare the most outstanding candidates for full-time school administration in North Carolina. PFP is administered by the North Carolina Principal Fellows Commission in collaboration with the North Carolina State Education Assistance Authority (SEAA); both agencies are affiliated with the University of North Carolina, General Administration (UNC-GA). Selection criteria, the selection process, selection outreach efforts, renewal and continuation criteria and liaison with the educational community are the responsibilities of the Principal Fellows Commission. The Commission is staffed and chaired by the Director of the Principal Fellows Program. Rules to administer the PFP are the responsibility of the Board of Directors of SEAA. Each university has a campus coordinator who provides leadership to each cohort of Principal Fellows on the campus. Campus coordinators provide mentoring, and coordinate a variety of experiences for the Fellows including enrichment activities such as seminars and workshops and site visits to school districts, businesses and educational organizations, and supervise the internship which occurs in the second year. The coordinator works closely with Fellows to ensure they have a successful experience in the program. Benefits of the Principal Fellows Program include the financial support provided to the Fellows while earning the MSA, the opportunity for school districts to work with Principal Fellow interns for a year, and the development of a pool of well-trained, highly qualified administrative candidates available to all North Carolina school systems. 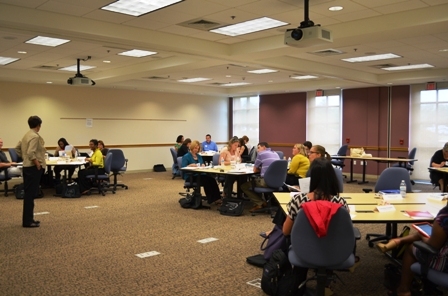 Professional development activities with a focus on leadership development are offered by individual universities and at the state level through the PFP office. All Principal Fellows agree to comply with the rules and regulations of the Program. A complete listing of the rules and regulations of the program can be found at ncseaa.edu and sildenafil generico Italia.